So, it was no secret that I was going to Alberta for research for Too Far Gone (the Winnipeg Free Press reported on it before my third book even had a name). These pictures are from the first part of my trip. 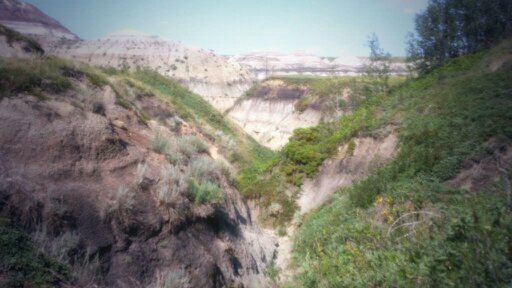 Also, I will take any excuse to hike through the Alberta Badlands. I regret that my photographs aren’t as good as Paul Weimer’s (seriously, check out his stuff. Beautiful, absolutely beautiful photos), I’d blame it on the fact I didn’t bring a proper camera and was taking pictures with my phone, but that would be a lie. I’m just not a skilled photographer. 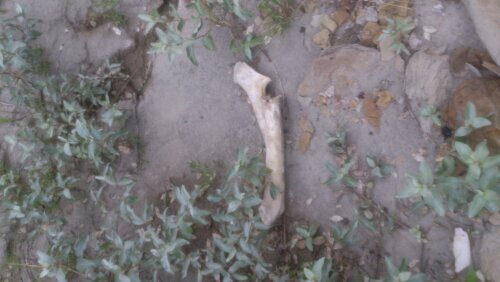 These are from my hike in Horseshoe Canyon. 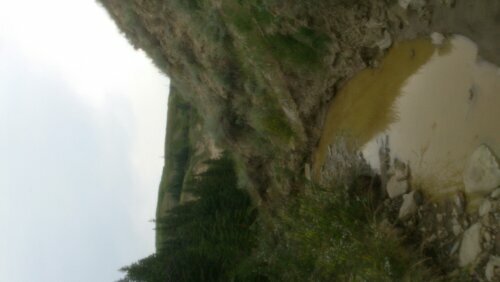 Unlike my last trip to the Badlands, I actually had proper hiking shoes instead of on-their-last-laces tennis shoes. I also went hiking before I’d spent an entire weekend dehydrating myself with hotel air and Irish whiskey. It involved a bit of doing to stay dry in some parts of the canyon. Which I didn’t manage. Not that I was going to return those new hiking shoes. There were a couple scrambles that reminded me that I was out of shape. And that I was one good tumble away from feeding the coyotes. There is an “inuksuk graveyard” in Horseshoe Canyon, where hikers build cairns of stone. This one was one of my favourites. Seriously, how can you not love this place? 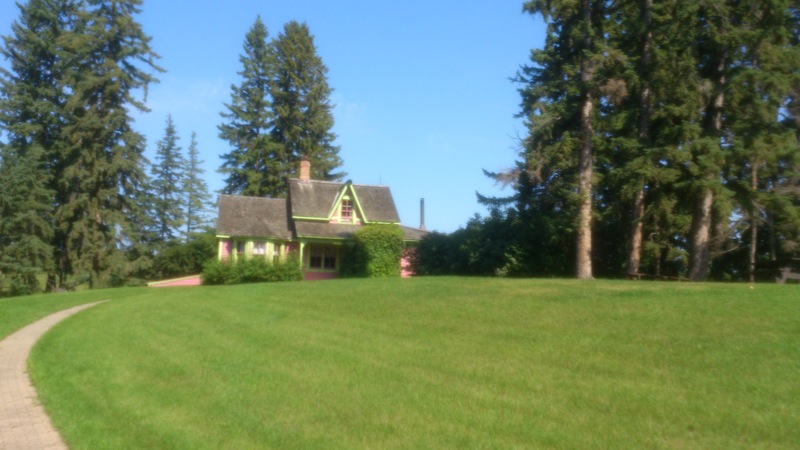 Heading further north, and near to Red Deer, and down an assortment of back roads, I found Stephansson House. (Thanks to Johanna Brierley’s mother Marcia for the suggestion–and for the loan of one of Stephansson’s books of poetry!). Stephansson was an early settler in the area, and a noted poet. One of the things, besides scenery, that I was looking for on this trip was Icelandic ties to Alberta. Those ties paid off creatively for me in writing Thunder Road and there was some neat stuff to be found here. You’ll have to read and find out about that, I think. But I did meet this awesome dog. The staff at the museum didn’t know the dog. She must’ve just wandered into area looking for shade. She was quite friendly. Stephansson House is a beautiful house. I also felt like a giant inside it. Which was good to know. Also interesting to learn, Stephansson’s son was struck by lightning. 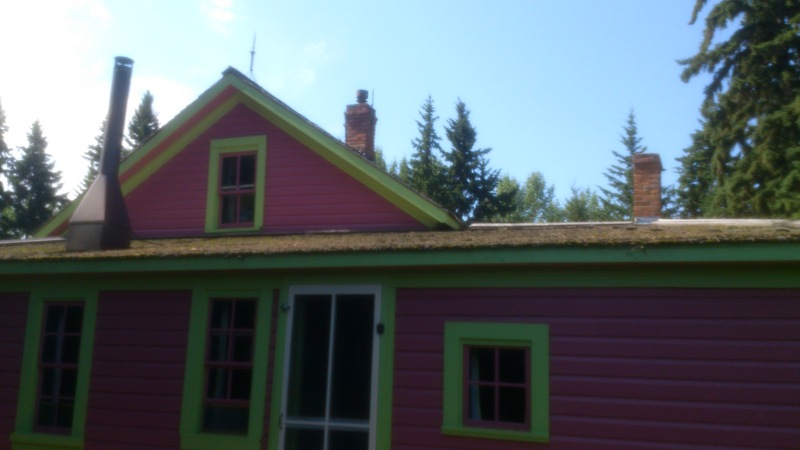 The boy died, but afterwards, the house’s roof sported numerous lightning rods. Some of which you can see in the photo above. That’s part one! Big thanks to Kevin Madison for driving me around Calgary and environs. This entry was posted in Uncategorized and tagged Badlands, Kevin Madison, Research, Stephansson House, Too Far Gone by chadwickginther. Bookmark the permalink.